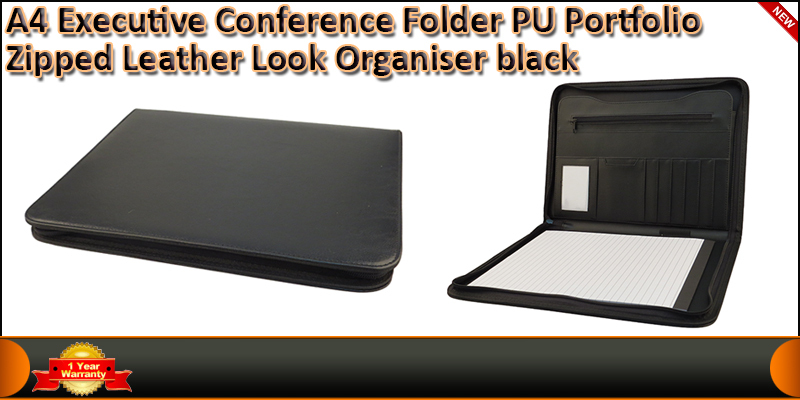 A4 Executive Conference Folder Portfolio Zipped PU. Peg. Perfect for business conferences and travelling. Sized to fit A4 documents inside. Made of high quality PU material with leather look. Slots for business cards and other stationary accessory. A4 folder portfolio zipped PU leather organiser.